Chad Soriano PhotoBlog: Philip Bloom Florida Meetup ! 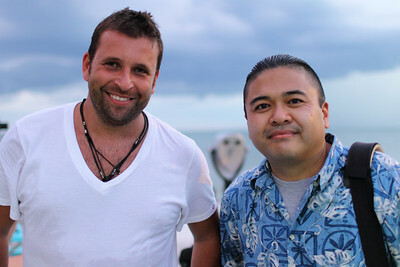 Fellow HD Dslr shooters gathered together at Pass-A-Grille Beach tonight shooting sunset time lapses with cinematographer Philip Bloom. 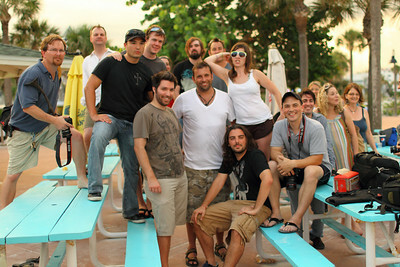 I could only describe the Philip Bloom Florida Meetup as a HD Dslr circus. 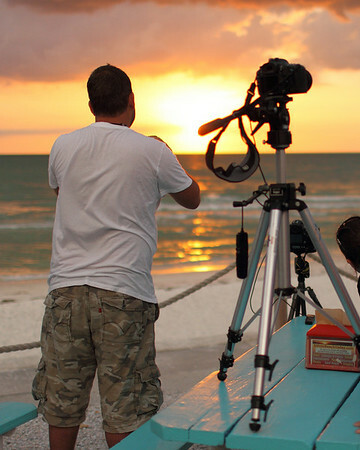 All the cameras were lined up along the beach of Pass-A-Grille in St. Petersburg, Florida capturing the eloquent sunset. 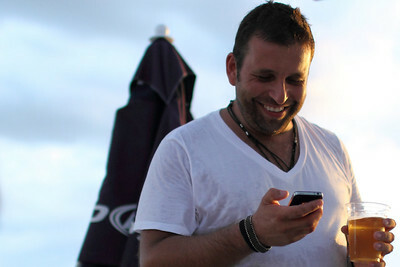 Philip Bloom is in town for the Filmmaker's Intensive Workshop, a two week training in the discipline of film making. The HD Dslr community of the Tampa Bay area welcomes this influx of cinematic culture with open arms! Philip Bloom finally meets Chad Soriano PhotoBlog. I also met a handful of wonderful people who shared the same passion for photography and video including fellow blogger from GetawayMoments. He is a big fan of sunset time lapses. The sunset soon turned into lightning charged clouds that gave us a spectacular show and a small sense of fright! This was another successful Philip Bloom Meetup! The Tampa Bay area HD Dslr community thanks you for your wonderful visit to sunny Florida. You can see more photos in the Philip Bloom Florida Meetup 2010 Gallery. My fellow blogger Getawaymoments posted this video of the event while I was snapping away pictures of the mayhem. Watch the sunset timelapse on his blog, you will not be disappointed.